They are Back. We search high and low for good outstanding shows, performers, and musicians…. you’ll love this band and recognize some of them from other national acts that played here. 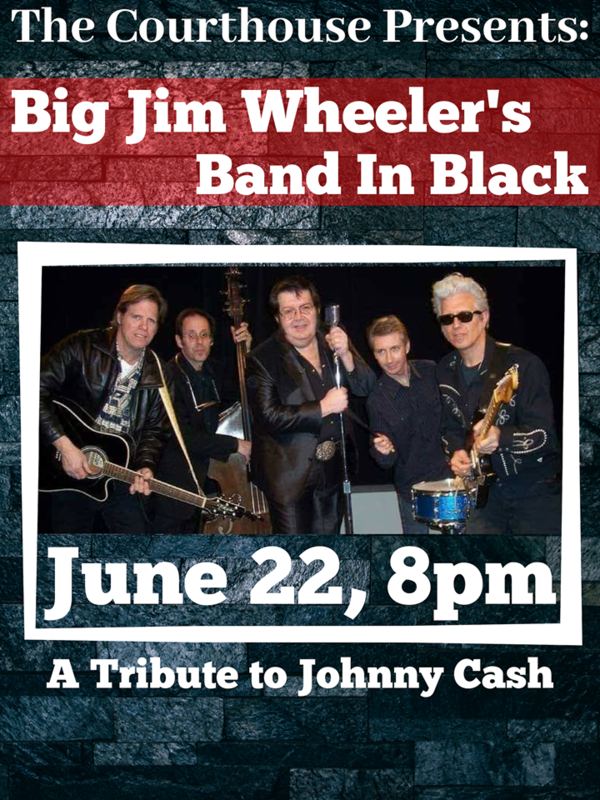 Big Jim Wheeler has been called ‘a throwback to the future’ and is arguably the best-kept secret in American music. He hails from both the Adirondacks of upstate New York and the Blue Ridge Mountains of South Carolina. His many friends, fans and admirers include top performers such as the late Roscoe Gordon, Vassar Clements, Mel Torme, Peter Rowan, academy award winning director Jonathan Demme, who recently hired Jim to appear as a featured extra in his remake of “The Manchurian Candidate” and “Rachel Getting Married”. Big Jim also appears in a recent video for country star, Eric Church and continues doing film, radio and live performances. In 1994 he combined forces with longtime friends and associates, Billy and Steven “Muddy” Roues, who shared his interest in developing an original sound and style of music based on their mutual love of all things Americana. 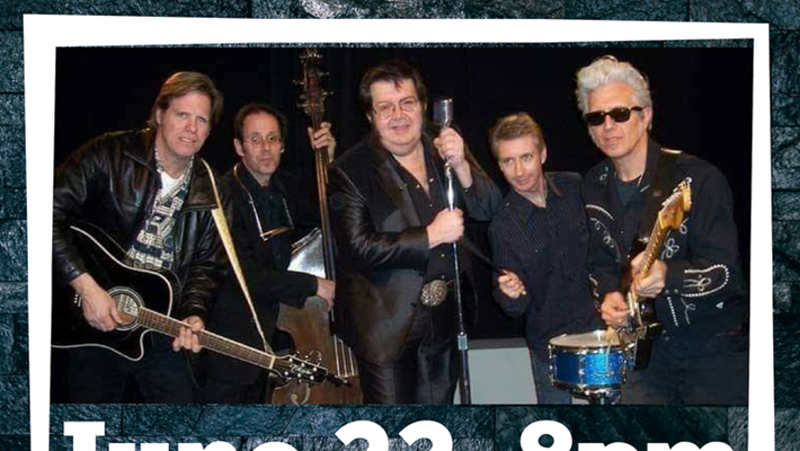 The band covered a long list of vintage country and rockabilly numbers with the addition of original songs penned by the Roues Brothers and Big Jim himself. With the enthusiastic support of the late legendary fiddler, Vassar Clements, the band entered the studio and emerged with a recording of a number of original songs along with a selection of some of the above-mentioned cover tunes. Besides Vassar’s fiddle, long time pedal steel journeyman, Bucky Baxter, lent his skills to several tracks as well. The result is the band’s debut CD, “Goin’ Back” on UpSouth Recordings. Several songs from the CD have been featured in movies and television including the popular cartoon show, Sponge Bob Square Pants and as theme song to Hall of Fame Wrestler Cowboy Bob Orton. The band is hot featuring Billy Roues on electric guitar and mandolin, Muddy Roues on double bass and harmonica, Mike Corbin on acoustic guitar and Bill Rankin on drums. Big Jim with his deep booming voice has been described as, “Bigger than life.” Come on in stranger, and see for yourself. Coupled with Musicians that you may have seen here before and with National Acts…. You are guaranteed to love this performance.